Have you been charged with a crime in the city of Seal Beach? If so, then retaining an experienced and reputable Seal Beach criminal defense attorney may be one of the most important decisions you make. The Law Offices of John D. Rogers carries unmatched experience from cases ranging from minor misdemeanor offenses up to murder with special circumstance along with white collar federal crimes. Seal Beach is located in the Northern part of Orange County having a competitive and expensive real estate market. Celebrities, entertainers, and professional athletes are known to be residence of Seal Beach. Millions of tourists flock annually to Seal Beach because of its mild climate, long sandy beach, and military historical monuments. However, if anyone is charged with a crime in Seal Beach, the case will be filed at the West Justice Center. 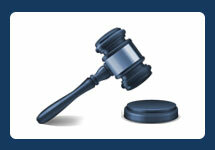 Our office handles all types of criminal matters occurring in Seal Beach. Crimes which include assault, battery, domestic battery, stalking, vehicular manslaughter, and child molestation. 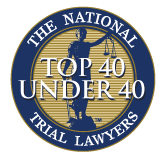 In addition, a large part of our practice is devoted to analyzing search and seizure issues, search warrants, and unlawful detentions. Our office focuses on minimizing the negative effects a criminal arrest may have on a person’s life and we strive to reach the best possible result for all of our clients. When standing accused of any criminal offense, whether it be a pending case or you’re under investigation for state or federal agents, it’s important to retain an experienced Seal Beach criminal defense attorney familiar with the area and courthouse which the case will be heard. 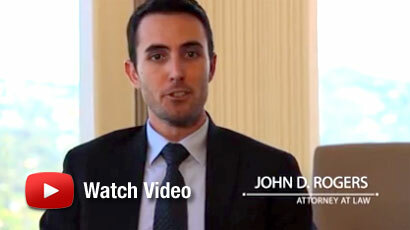 Attorney John D. Rogers routinely handles criminal cases out of Seal Beach and at the West Justice Center. He is familiar with politics within the prosecutor’s office and how to tactically structure a case to obtain the most advantageous result. If you have been charged with a state or federal offense in Seal Beach, then contact the Law Offices of John D. Rogers to schedule a free confidential consultation with an experienced Orange County criminal defense lawyer. Early retention of a lawyer could mean the difference of spending years in prison or having the case rejected altogether. Our office has unmatched understanding of virtually all the crimes in California and we will explore every pertinent fact when mounting your defense.